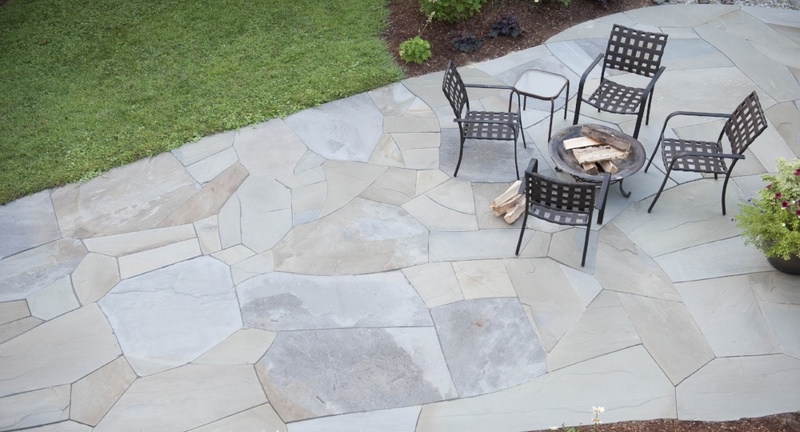 Whether you’re creating a patio, walkway, or garden path, stone pavers and flagging are a versatile—and beautiful—way to achieve the look you want for your yard. When it comes to landscaping, selecting the right pavers can be one of the most important decisions you’ll make. The living elements of your yard can be moved and changed easily, but a patio or walkway is an investment that is more difficult to change. Here are the 5 essential factors to consider when choosing the perfect stone pavers for your project. While there are virtually limitless combinations of colors, shapes, and textures to pick from, thinking about these points will help you choose the material that is right for you. Factor #1: Application The first important factor when choosing stone pavers for hardscaping is the application—how are you planning on using the pavers? The type of project will influence the rest of the factors below. For example, the best stone paver choices for installing around a swimming pool may not be the same for creating a walkway. They type of project will dictate your options for material and style, so be sure to discuss your project with a stone supply expert before making any purchases. Factor #2: Personal Style As with all of the decisions surrounding your home, the pavers you choose for landscaping contribute to the overall character of your yard and house. That’s why it’s important to let your own personal style play a major role when you select your ideal pavers. Color, size, texture, shape, pattern—all of these factors create individual styles when it comes to stone pavers. For a clean, modern look, use pavers with similar tones to create a coordinated effect. Additionally, you can consider a multicolor blend that combines two or more colors in a single paver. Plus, don’t forget to consider your home’s architectural qualities when choosing a pattern for your pavers. The options are endless when it comes to using stone pavers to highlight your personal style. Trying to create a certain look? Here are some ideas to get you started: Contemporary Eclectic Rustic Factor #3: Durability By choosing stone pavers, you’ve already made a selection for your landscape material that is highly durable. But depending on your location, overall durability may affect your options for material. Some types of stone can be considered stronger or more durable than others, and, as a general rule, stone pavers are more suited to lower traffic applications since they are typically not as strong as some other manufactured options. Consult a stone supply expert before choosing a type of stone for your project to ensure that your idea will work for your application. Factor #4: Budget Cost is always a major factor for homeowners when making any decisions about home improvement projects. While many people would agree that they are much more aesthetically pleasing, natural stone pavers are typically one of the more expensive options available for landscape projects. However, contrary to popular belief, natural stone does not necessarily have to cost more than using a concrete equivalent—it depends on the type of stone you choose. Plus, stone pavers are an investment with a significantly long lifespan. If budget is an issue, consider trying to buy your stone in late fall or early winter, when supplier discounts are likely at their most aggressive. And don’t forget to factor in the cost of installation if you’re not doing the labor yourself! Factor #5: Upkeep Stone pavers are relatively low-maintenance, but when choosing the right material, upkeep level is still a factor. When making your choice, you should consider the potential effects of weathering and corrosion on your pavers. However, doing some simple maintenance, cleaning and protecting on your stone pavers should help eliminate moss and weeds, and prevent your stones from accumulating dirt. Plus, natural stone tends to weather and wear more gradually than other common paver materials, and therefore may require less washing or sweeping. 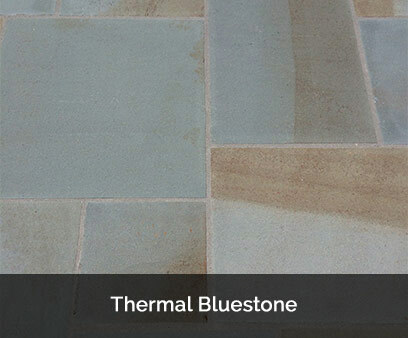 One consideration that could affect the amount of maintenance you perform is color—a darker stone color may require less cleaning than a lighter stone color." target="_blank">stone pavers and flagging for your project. While there are virtually limitless combinations of colors, shapes, and textures to pick from, thinking about these points will help you choose the material that is right for you. The first important factor when choosing stone pavers for hardscaping is the application—how are you planning on using the pavers or flagging? The type of project will influence the rest of the factors below. For example, the best stone paver choices for installing around a swimming pool may not be the same for creating a walkway. They type of project will dictate your options for material and style, so be sure to discuss your project with a stone supply expert before making any purchases. As with all of the decisions surrounding your home, the pavers you choose for landscaping contribute to the overall character of your yard and house. That’s why it’s important to let your own personal style play a major role when you select your ideal pavers. Color, size, texture, shape, pattern—all of these factors create individual styles when it comes to stone pavers. For a clean, modern look, use pavers with similar tones to create a coordinated effect. Additionally, you can consider a multicolor blend that combines two or more colors in a single paver. Plus, don’t forget to consider your home’s architectural qualities when choosing a pattern for your pavers. 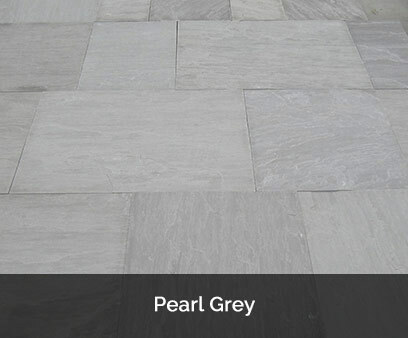 By choosing stone pavers, you’ve already made a selection for your landscape material that is highly durable. But depending on your location, overall durability may affect your options for material. Some types of stone can be considered stronger or more durable than others, and, as a general rule, stone pavers are more suited to lower traffic applications since they are typically not as strong as some other manufactured options. Consult a stone supply expert before choosing a type of stone for your project to ensure that your idea will work for your application. Cost is always a major factor for homeowners when making any decisions about home improvement projects. While many people would agree that they are much more aesthetically pleasing, natural stone pavers are typically one of the more expensive options available for landscape projects. However, contrary to popular belief, natural stone does not necessarily have to cost more than using a concrete equivalent—it depends on the type of stone you choose. Plus, stone pavers are an investment with a significantly long lifespan. If budget is an issue, consider trying to buy your stone in late fall or early winter, when supplier discounts are likely at their most aggressive. And don’t forget to factor in the cost of installation if you’re not doing the labor yourself! Stone pavers are relatively low-maintenance, but when choosing the right material, upkeep level is still a factor. When making your choice, you should consider the potential effects of weathering and corrosion on your pavers. However, doing some simple maintenance, cleaning and protecting on your stone pavers should help eliminate moss and weeds, and prevent your stones from accumulating dirt. Plus, natural stone tends to weather and wear more gradually than other common paver materials, and therefore may require less washing or sweeping. 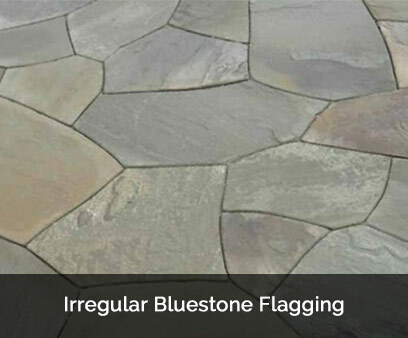 One consideration that could affect the amount of maintenance you perform is color—a darker stone color may require less cleaning than a lighter stone color.